Welcome one and all to the island of Zanzibar! 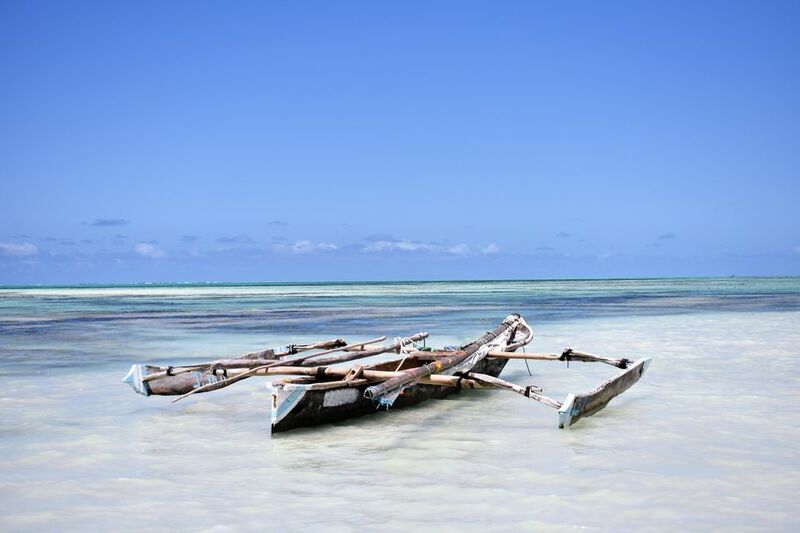 I will write for you the simplest ultimate guide on Zanzibar that you will ever hear or read. They have all been here; the Europeans, the Arabs, the Indians and of course the Africans and all of them have left something behind. 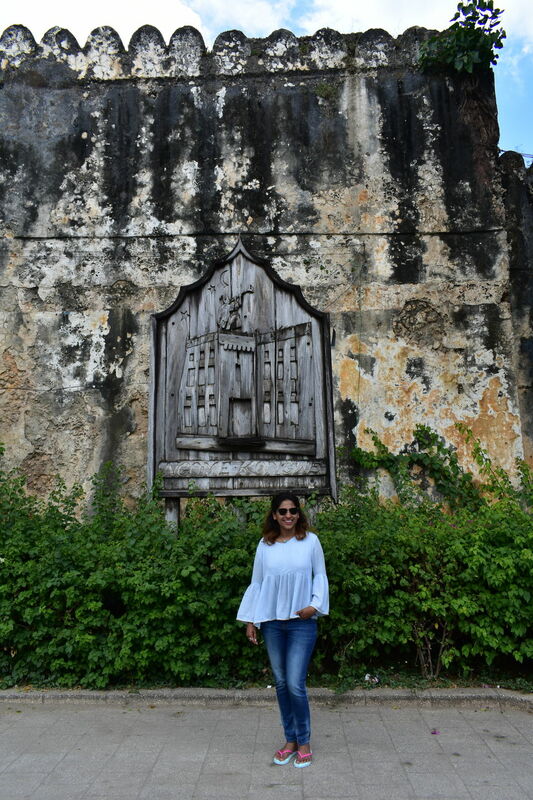 As we strolled through the stone town quarters in Zanzibar, for a moment it was beyond belief that we were still in Africa. The narrow lanes lined with buildings clearly influenced by a wide variety of cultures that have built and lived in them, make up a surreal world. A world unseen anywhere else! You do not need a guide for the stone town, just a map. Sometimes even the map doesn’t help but there is always a friendly local to show you the way. As we wandered around, we hopped from one must-see attraction (the Dispensary, the Palace museum, the Slave memorial) to another in no real time. Everything is close by and a short walk away in ‘the lost world’. The Slave memorial: It is really hard to come to terms with the grueling fact that this paradise-like island was actually almost hell-like for most of its history. Believe it or not, but the reality is that Zanzibar was the global epicentre of the slave trade which was rampant till the early 20th century. 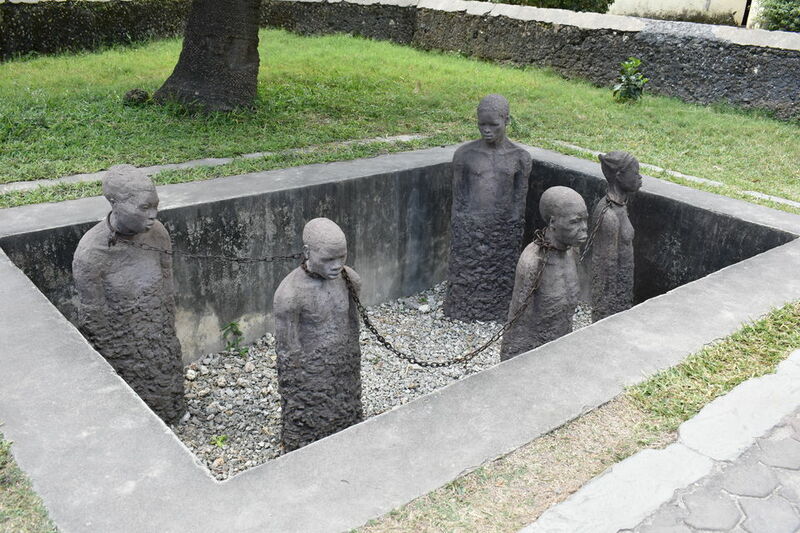 Trace the journey of these unfortunate lives, the brutality they went through and pray for their peaceful afterlife at this memorial site which was the site for the world’s largest open slave market. Prison Island: We wouldn’t really have been able to forgive ourselves for missing this, and the saddest part about all of this is that we were actually just about to miss this. We were about to miss the elusive Aldabra tortoises. These gentle beings are giant; honestly giant is an understatement. 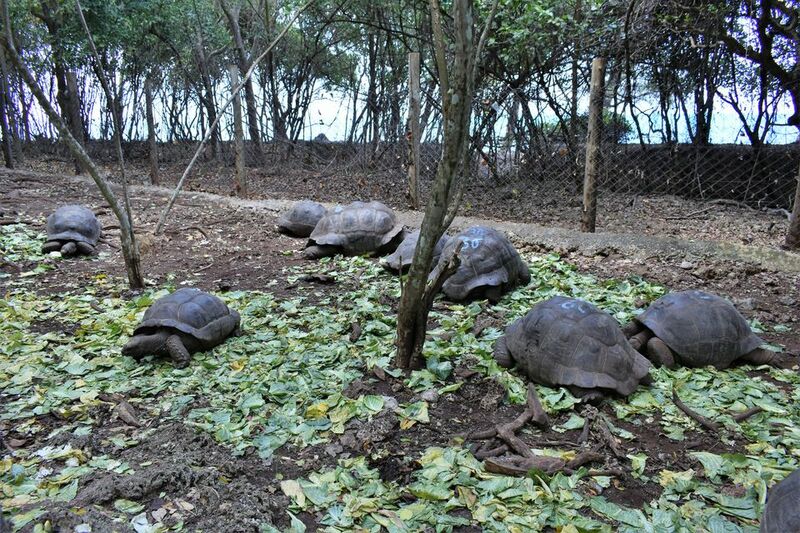 They are the biggest tortoises you will ever come across on this planet. Pat them on their back, stroke their head, feed them leaves (watch your fingers, they eat quite fast!) and marvel at their beauty. Don’t forget to look for the oldest (Mind-boggling, 194 years old) and the largest one! Tip: Instead of booking a tour to the island, negotiate a rate directly with the boat owners (it is far cheaper) just outside the ferry station. We got ours at TZS 35,000 (INR 1,000) for return fare and a guided tour. Visiting an island circumferenced by beaches all around, a natural question is, Which one to stay in? Worry not, we have got you covered. 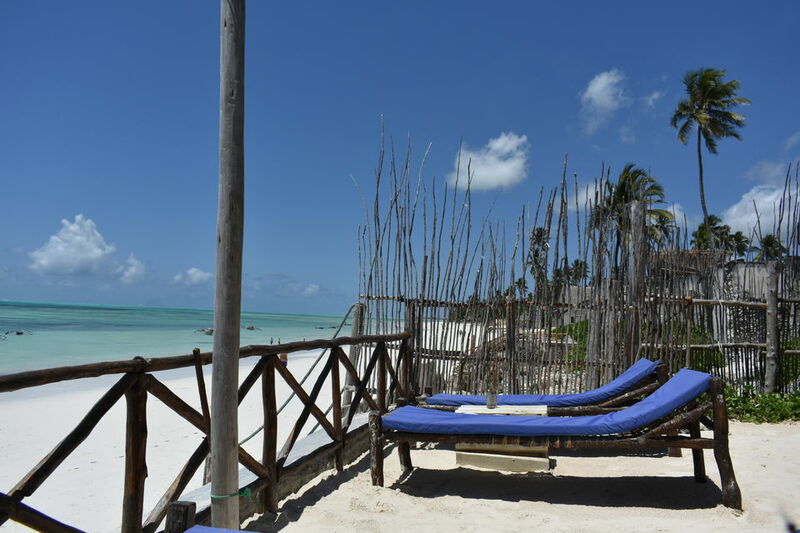 Paje and Zambiani beaches in South-East Zanzibar are relatively untouched and raw, the all inclusive resorts have not their made here yet. Hotels are still made from palm leaves, food is locally grown and home cooked and drinking coco juice is the way of life here. • Every morning, the ocean is inviting and gentle enough for a perfect swim. • Every afternoon, when the low tide takes the water as far away as the horizon, the exposed colours of the ocean bed are downright stunning. 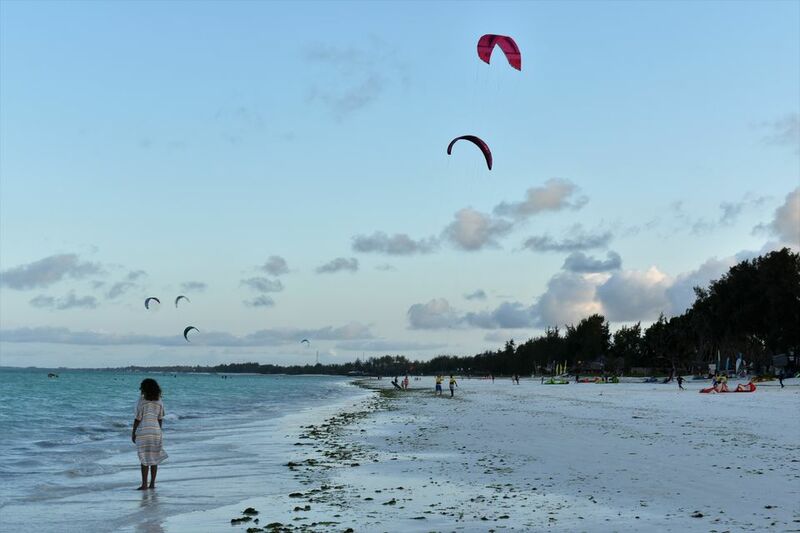 • Every evening, as the water slowly pulls itself back, the kite surfers get into action and swarm into the beach. • Every night, get used to the noise made by the rising water as it crashes onto the shore. Blue Lagoon Safari: The Red Sea experience has really helped me shun my inhibitions. 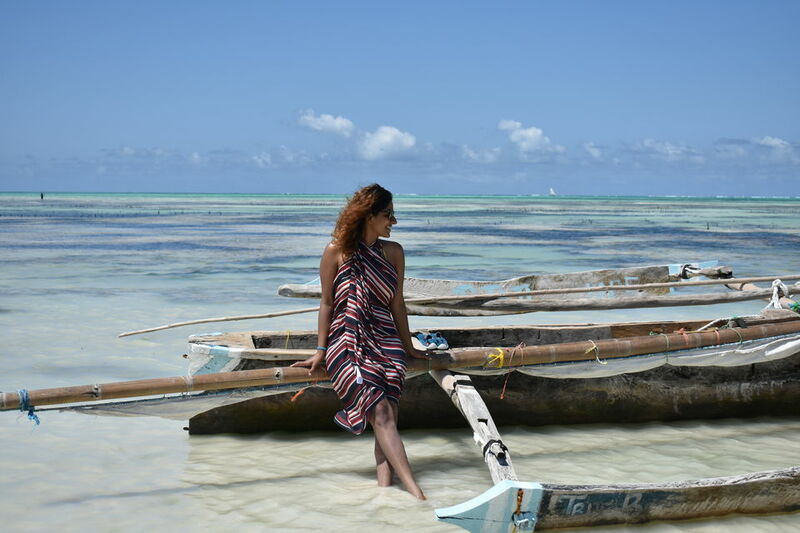 I have started enjoying snorkeling (of course, with a life jacket) and was the first one to raise my hands up for another trip in this part of the Indian Ocean. Blue Lagoon is one of the most famous coral-spotting destinations on the east coast of the island. And I must add, the fishes are far braver than I have encountered elsewhere. Not only did we see a vast variety of them (Dori, Zebra and oh! I have lost count) but those little brats would swim right past our eyes and hands as if possessed with no fear. Tip: Again, negotiate with a local fisherman to take you there. It is far cheaper and the money you pay goes into the right pockets. 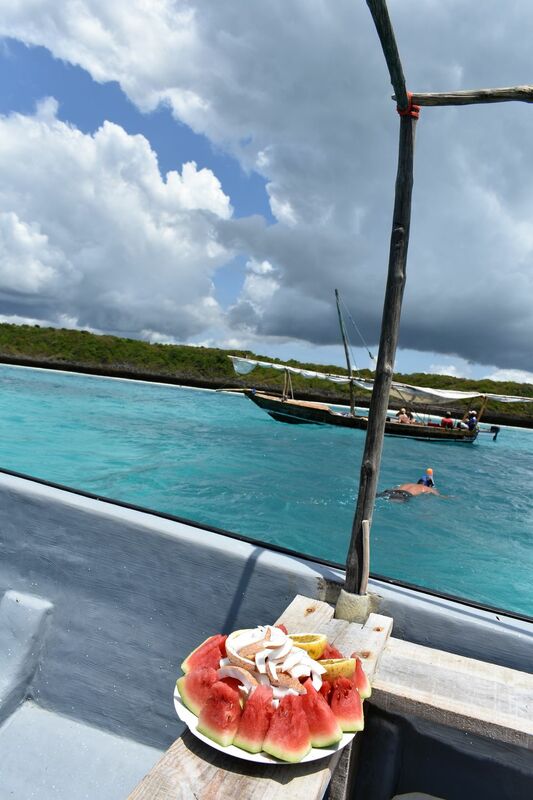 We got ours at TZS 80,000 (INR 2,400) for both of us for a 2h ocean trip including a delicious fruit lunch. We met Mustafa at the beach. He is an honest hard-working young man who helped organise our snorkeling trip. Do reach out to him at +255773451849 on call/whatsapp. In for a Wild Experience? If you are also in the mood to track the African Big 5, the Serengeti and Ngorongoro Crater in Tanzania is a short flight away from Zanzibar and offers some of the best wildlife viewings in a truly spectacular setting. Read everything about our Tanzanian adventure on our blog. "Megha and Pranay (alias The Trunk Travellers) are travelling around the world this year. An ex- Investment Banker and ex- Consultant by profession, they decided to take the greatest journey of their lives. They have visited over 30 countries together. Megha has co-founded the kitschy product label, Pitaara Handmade and is scouting for inspiration during her travels. They have been featured with LBB Mumbai and WedMeGood previously. You can follow their adventures and photographs on Instagram as well"